Waterproof, dustproof, dirtproof, sandproof, and drop-proof. Interactive case design with flexible rubber button for shuffle model, and ClickWheel protected by a thin membrane which remains fully functional through the case. Anywhere your active lifestyle takes you...To the gym, pool, hiking, biking, kayaking, canoeing, snowsports...Have the peace of mind that your iPod is safe in the OtterBox for iPod. 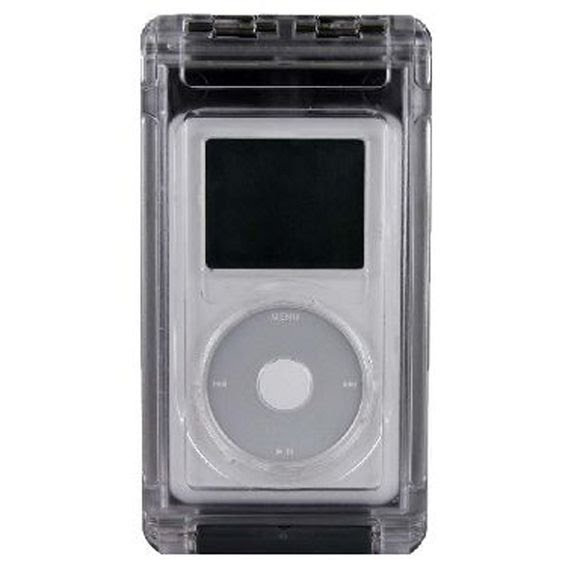 Note: This iPod case works only with iPod 20GB. Dimensions 5.7" x 3" x 1"